Great addition for non-W Pi Zero. Easy to install. Work on boot without special setup. Self-explanatory product. Fast delivery. It's a fantastic enhancement to Raspberry Pi Zero. 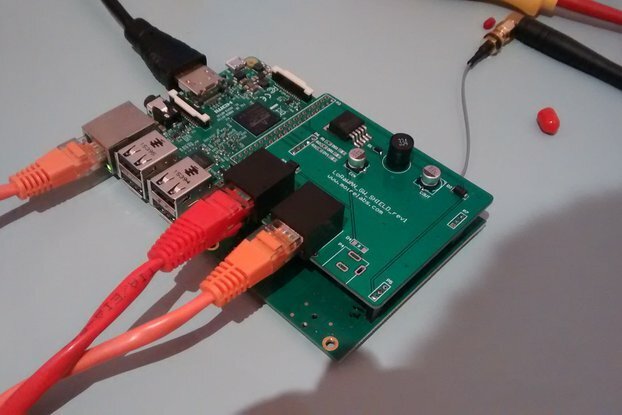 It allowed me to turn my RPi into a mini WiFi router. Moreover, with full-size USB I could connect keyboard and mouse directly to the board and configure the system without hassle. All hardware is detected automatically and does not require any additional drivers. Highly recommended! Great product, makes building DIY LoRaWAN gateway a breeze! Ordered the PoE adapter for my DIY "The Things Network" LoRaWAN gateway. Installing was a breeze and everything worked as expected. I re-purposed an old power converter to power the unit and that worked just fine as well. Shipping took a few days, but that can be expected with snail mail. Only suggested improvement is to publish info on the dimensions of the combined setup (RPi + PoE adapter + iC880A) so one can easily oder a suitable housing. Now I had to wait until the adapter was in to get the correct size. Excellent addon to upgrade a 1.3 (non wireless) I had laying around. I tried it on a 1.2 with no luck, but this pi was already heavily modified by me, so you may get different results. An option (or stl files) for a case would make it perfect for me. The shipping was fast and tidy. Amazing product, works as advertised! I purchased this shield for my Pi Zero W to turn it into a WiFi AP. Although the description says it doesn't use the GPIO, it wasn't clear to me that the shield connects using pressure pads, so no soldering is required. 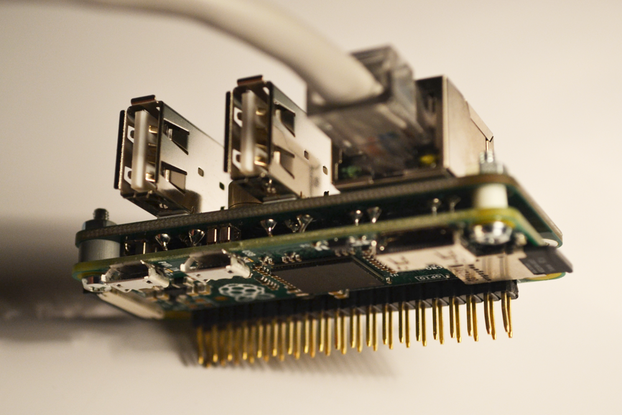 Since the shield is a USB hub that connects directly to the Pi's onboard USB interface, it's simply plug and play -- no additional drivers or setup required. Best of all, I now have a working AP from my Pi Zero W. I am also so pleased with the first one that I am ordering another.